The 133rd Field Artillery was organized in June, 1917, as the First Texas Field Artillery. It was drafted into Federal service August 5, 1917; mustered into Federal service during August and September, 1917, and redesignated 133rd Field Artillery October 15, 1917. It served overseas during the World War but did not see combat service. It was demobilized at Camp Bowie April 2, 1919. The history of Battery A is the history of the regiment prior to 1917. The battery was organized in 1880 as the Queen City Guards and later as Battery A, Field Artillery, Texas National Guard-better known as. the Dallas Battery or Dallas Artillery Company, and sometimes spoken of as "Logan's Battery" after Captain F. A. Logan, who was its commanding officer from 1890 until 1917, when he was placed in command of the regiment. The untiring efforts of this officer in attempting to increase the Field Artillery in Texas before the World War is a matter of history. The regiment was reorganized in 1936, reconstituted and consolidated with the post-war 133rd Field Artillery, with the exception of the Service Battery and the Third Battalion. Battery A was immediately located in Dallas, and again this city had its field artillery unit back at home. Other units were located at San Antonio, Houston, Fort Worth and Beeville, Texas. From the Organized Reserve and other National Guard units were drafted a few officers and many men, among whom was Lieutenant Colonel Raymond Phelps of the 132nd Field Artillery. Colonel Phelps had entered the Guard in 1916 as a Lieutenant under the command of Captain Claude V. Birkhead, commanding officer of Battery B, Texas Artillery, now the division commander. He was promoted to Captain in 1917, and served as such during the World War, and in 1923 when the 61st Field Artillery was reorganized, became the brigade executive with the rank of Major, which assignment he held until 1933. Other officers selected for the regiment were Captain William H. Hargis, M.C. ; Captain John L. Lattimore, 72nd Brigade; First Lieutenant John H. Crump, 143rd Infantry, and Roy S. McMurtray, 61st Field Artillery Brigade. Later, Major James M. Caviness, 132nd Field Artillery, was transferred to the regiment. Recently, Lieutenant Colonel Caviness was transferred back to the 132nd Field Atillery and Lieutenant Colonel Chas. W. Scruggs, with long years of active National Guard service, came to the regiment. The reorganization of the remainder of the regiment, namely the Service Battery at New Braunfels and the Third Battalion with units at Kerrville, San Antonio, Beeville and Kingsville, was ordered on March 10, 1937, with Major A. 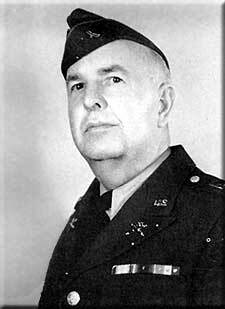 B. Crowther, 61st Field Artillery Brigade, in command. The unit at Beeville, organized in 1936, was redesignated Battery E, and the new Battery B was formed at Fort Worth as part of the First Battalion. Since then, Lieutenants George A. Uhl and Lloyd L. Awbrey, officers with long services in the Guard, have entered the regiment. The authorized strength of the regiment, in 1937, was 62 officers, one warrant officer and 622 enlisted men. The enlisted strength has been increased to 768 men. The first camp in 1936 was held under difficulties, federal recognition of most of the units being withheld pending approval of their armories, and clothing and equipment being slow to arrive. But the fine spirit of the regiment, through the able guidance of the fine officer personnel, carried the regiment through a very successful and instructive camp. The 1937 encampment found the entire regiment together, with sufficient equipment to properly train in all phases of the work. The highlight of this camp was the firing of the new 155 mm. Howitzers for the first time at Camp Hulen. To all National Guardsmen of the post-war 36th Division, the camp of 1938 was most outstanding as it was the Third Army maneuvers. During this camp, the 133rd Field Artillery, dubbed the “Baby Regiment,” arose to take its place with the old regiments of the division and when the maneuvers were completed, it had received its share of the commendations. The regiment was fortunate in having assigned to it as unit instructor Captain Milo B. Barragan, of the 10th Field Artillery, Regular Army, at Fort Lewis, Washington. A graduate of the Military Academy, Captain Barragan has been of great assistance to the regiment, and it looks forward reluctantly to the day when his tour of duty will end. The regimental motto, “Dum Spiramus Tuebimur” (while we breathe we shall defend) is symbolic of the spirit of the regiment to defend to the last man.